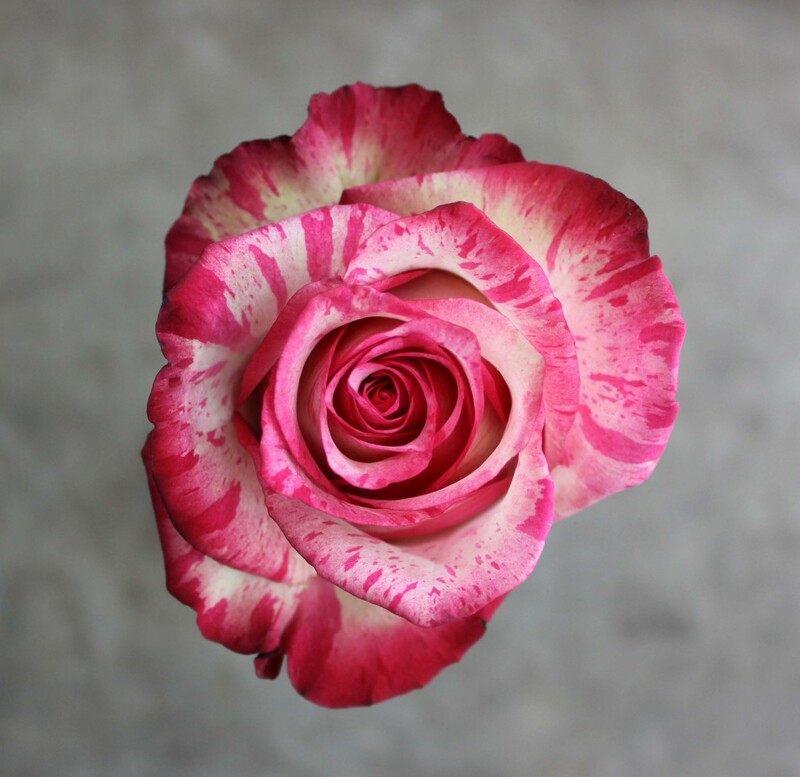 Magic Times is a variegated bi-color rose. 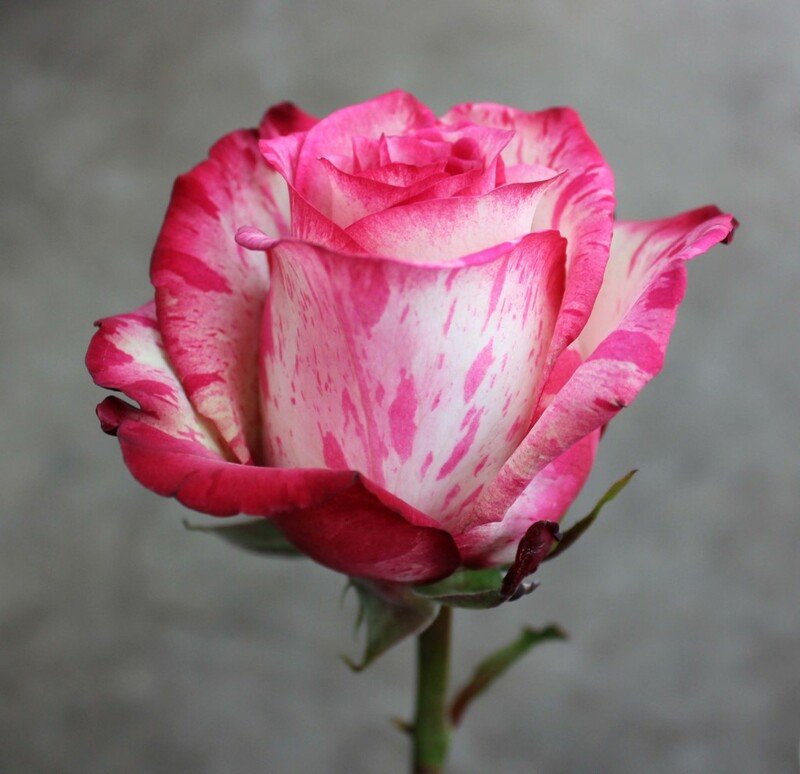 This rose is white with hot pink variegation. It contains thorns and is scented. 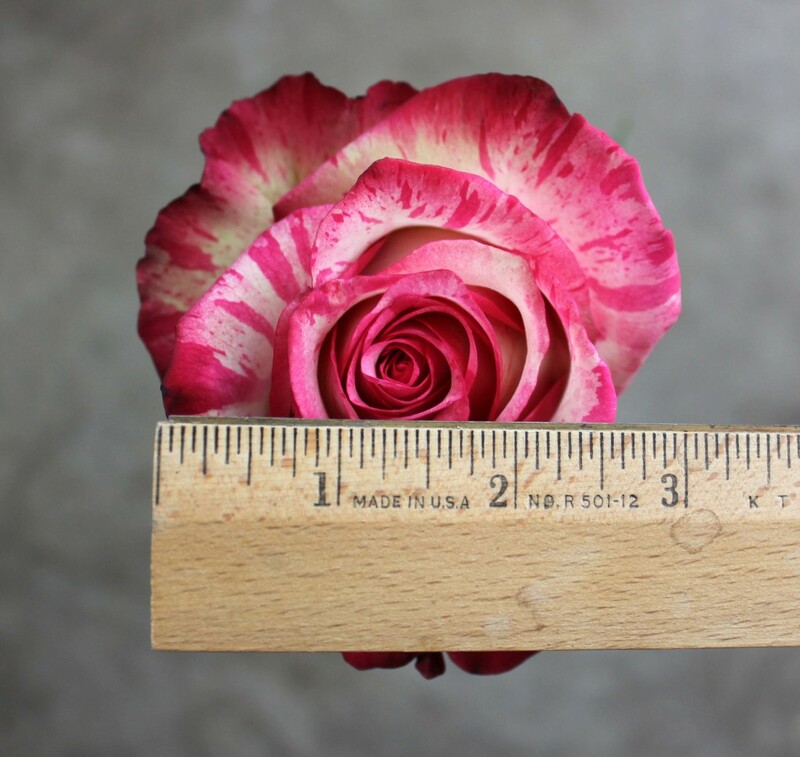 Magic Times measures to about 3 inches in diameter.